Professor, Economics & Finance Area, Chairperson: Centre of Excellence for Sustainability, Growth and Development. Dr Gajavelli V S is Professor of Economics and Chairperson, Centre for Sustainability, Growth& Development at the Institute. He has more than 25 years of experience in management education, research, executive education, in-company programs, faculty development and consulting. He holds a Ph.D. from Hyderabad Central University and trained in the Participant-Centered Learning& Case Method Craft (PCL) at Harvard Business School and on Teaching Methodologies & Case Writing by Richard Ivey and Stockholm School. His academic interests include Economic Analysis and its Applications to Management, Economy Policy and Sustainable Development, Economic Integration and Global Business and Enterprise Risk Management. PCL (Finance and Operations), in 2011 from Harvard Business School, Soldiers Field-Boston, USA. Ph.D. (Economics), in 1998 from Hyderabad Central University (HCU), Hyderabad. M. Phil (Economics), in 1991 from Hyderabad Central University (HCU), Hyderabad. M.A (Economics - University First Rank and Gold Medalist ), in 1988 from Kakatiya University. Qualified at the UGC National Entrance Test for Lecturship in Universities in 1991. Global Computable General Equilibrium(CGE) Modelling Program, facilitated by Professor Scott McDonald, Accounting Finance and Economics, Business School-Oxford Brookes University, April 2013. PCL (Participant Centered Learning and Case Method Program: Finance and Operations), in 2011 from Harvard Business School, Soldiers Field, Massachusetts, Boston, USA. 2005 RKQP (Ravi Kirloskar Quality Prize) Assessor Training in Business Excellence, RKQP Trust, Pune, India. Professor - Economic Environment and Finance, from April 2009. Chairperson-PGP and Chairperson-Student Affairs for the Academic Sessions 2005-06, 2006-07 and 2007-08. Chairperson-International Relations, from April 2011. Joined as Associate Professor in July 2005. 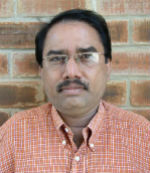 Associate Professor, SDM Institute for Management Development, Mysore, Karnataka, India from (May 2001 - July 2003). Sr. Faculty Member, ICFAI Business School (IBS) Pune , Maharashtra , India from (April 1995 - April 2001). Faculty Member, ICFAI Business School (IBS), Hyderabad, Andhra Pradesh, India (April 1994 - March 1995). Project Associate, The Institute of Chartered Financial Analysts of India (ICFAI), Hyderabad, Andhra Pradesh, India from (Sept 1991 - March 1994). Academic Counselor, Andhra Pradesh Open University, Hyderabad, Andhra Pradesh, India (1990 - 1991). Financial Derivatives - Futures, Options and Swaps, 8th to 13th Aug 1994, Mumbai, India. International Finance and Capital Markets, 19th to 24th Sept 1994, Mumbai, India. Visiting Scholar, Faculty of Economics & Business Studies, University Diponegoro(UNDIP), April-June 2012, Semarang-Indonesia. Visiting Professor, Burgundy School of Business(BSB) Spring Session, Jan-April 2010, Dijon-Paris, France. Guest Faculty, Yashwantrao Chavan Academy of Development Administration (YASHADA), Pune-India. Guest Faculty, Vaikunth Mehta National Institute of Co-operative Management (VAMNICOM), Pune-India. Guest Faculty, National Institute of Construction Management & Research (NICMAR), Pune-India. Faculty Member, Graduate School of Management, Transworld University(TU), Santa Clara, USA. Economic Development & Growth, Financial Integration, Management of Natural Resources, Corporate Responsibility, Enterprise Risk Management & Value creation. Title: Business Economics and Decisions For Post-Graduate Management Programs, August 1995, published by The Institute of Chartered Financial Analysts of India (ICFAI), Hyderabad. Title: Economics On Macroeconomic Environment, April 1996, published by the Institute of Chartered Financial Analysts of India (ICFAI), Hyderabad. Study Modules Developed Study Modules on Business Economics for the requirements of the MBA Programme, Graduate School of Management, The Transworld University, 3242, McKinley Drive, Santa Clara, USA. Common Property Ecological Resources and Village Economies: A Study of Qualitative Dimensions & Valuation, International Journal of Sustainable Development - OIDA, Canada Vol. 1, No. 10, pp. 91-99, 2010. Effective Utilization of Talk-time by Mobile Users: A Study of Indian Cellular Telephony Market and Its Regulation (with H Halve), International Conference on Management Technology and Applications (ICMTA 2009) Aug 8-11, 2009, Beijing China, IEEE Publishers (Accepted). India's Economy: Emerging Opportunities and Challenges in Journal of Applied Economics, Volume II, 2003. The Global Economic Integration: A Case Study of Euro and Its Implications for India in Journal of Bank Management, Volume II, Issue 2, 2003, pp 70-82. Management of Common Property Land Resources: A Micro-level Study co-authored with Reddy D N in Ashwattha - Quarterly Journal of Yashwantrao Chavan Academy of Development Administration(YASHADA), Pune, April-June 2002, Vol.2, Issue No2. Hope Springs Eternal on current economic scenario in Chartered Financial Analysts, January 1999. Foreign Exchange Reserves: Need Deft Management, in Chartered Financial Analyst, October, 1994. Indian Cellular Telephone Market: Promoting Consumer Efficiency or Impulsivity? in Rajat G (ed.) Advances in Technology and Innovation in Marketing, 2009, Macmillan Publishers India Ltd., New Delhi. Economics of Common Property Ecological Resources, Collective Action and Community: An Empirical Study from Telangana Region of Andhra Pradesh, India in Rajaiah G (ed.) titled Globalization : Environmental Issues and Challenges, 2009, Serials Publications, New Delhi. WTO and Globalization of Agriculture: An Assessment of IPRs for Agriculture Sector in Emerging Economies in Dr Iqbal Ali(ed.) titled Globalization of Agriculture, 2008, Serials Publications, New Delhi. WTO, Intellectual Property Rights, and Emerging Markets in Iqbal Ali & Ashok Kumar (ed.) titled Intellectual Property Rights, 2008, Serials Publications, New Delhi. Management of Common Property Institutions: A Micro-level Study in M. Mallikarjun and Pawan K C(ed.) titled Managing Trade, Technology and Environment, 2004, Excel Books, New Delhi. "Business Financing, Derivatives and Risk Management", paper presented at Yale University - Great Lakes 6th International Research Conference, Great-Lakes Institute of Management, 28th December, 2011, Chennai, INDIA. "Business Expansion, Cost Management and Inflation Risk", paper presented and chaired a technical session on Miscellaneous Business in International Conference on Business and Economics, March 13-16, 2011, New Orleans-Louisiana, USA. Common Property Ecological Resources, Collective Action and Village Economies: Some Lessons from a Field Study, The 7th International Conference on Environmental, Cultural, Economic & Social Sustainability, January 5 -7, 2011, University of Waikato Hamilton, New Zealand. Common Property Ecological Resources and Village Economies: A Study of Qualitative Dimensions & Valuation, International Development Conference on Sustainable Social & Human Development, Summer Congress 2010, June 22 -25, 2010 Laurentian University, Sudbury, Ontario, Canada. "Role of Self Help Groups and Microfinance in Empowering Human Capital: A Study of Developing Societies", International Research Seminar on Microfinance, organized by Burgundy School of Business in association with Centre European de Recherche en Microfinance, Group ESC Dijon Bourgogne, 18th March 2010 Dijon, France. Completed the Institute-sponsored research project "Effective Utilization of Talk-time by Mobile Users: A Case of Indian Cellular Telephony Market and Its Regulation" in association with Dr H. Halve during the academic session 2006-07. Certificate of Excellence from his Excellency Dr. Bhishma Narain Singh, former Governor of Assam, Tamil Nadu & North-eastern States, for meritorious services and outstanding performance, at a seminar on India's Economic Development, 10th May 2011, Constitution Club of India, Parliament House, New Delhi.